Here at Ellon Flowers we are able to provide our customers with flowers for all occasions including birthdays, presentation flowers, and funeral and anniversary flowers. 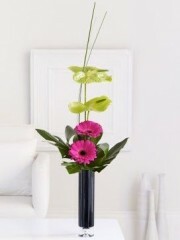 Ellon florists also provide lifestyle flowers. 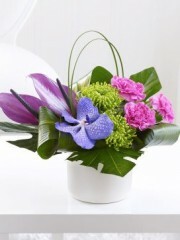 Lifestyle flowers are an ideal gift perhaps for a house warming or something similar. 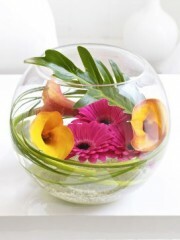 Furthermore, lifestyle flowers can be the perfect way to brighten up your home. The flowers used by the expert florists in Ellon are selected carefully for their longevity and quality. All the lifestyle flowers used are imported from Holland. They are the very best quality flowers from the Netherlands. Combined with the quality of the flowers is their freshness. The florists Ellon have flower deliveries several times a week which ensures that only the best and freshest flowers are used in their lifestyle flower bouquets. All lifestyle flowers are hand-tied by the expert florists in Ellon and beautifully wrapped. 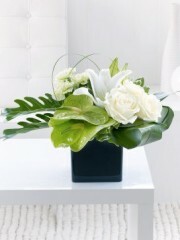 If you are buying lifestyle flowers as a gift for a loved one, Ellon flowers will include a note. This note is the perfect way for you to leave a message for your recipient and give it your own personal touch. In your flower bouquet from Flowers Ellon you can choose a range of flowers, all in different colours, shapes and sizes. 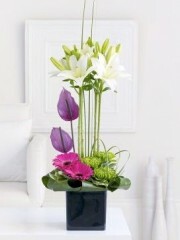 There is guaranteed to be lifestyle flowers to suit your tastes or the tastes of those you wish to send them to. If your lifestyle flowers from Ellon florists are in fact a gift for a loved one, there are many gifts that can be included along with your flower delivery. Our gifts from Ellon flowers range from gorgeous wines to cuddly teddy bears. The Ellon flowers wine collection consist of reds, whites and rose wines. Alternatively, there are a number of luxury champagnes you may wish to choose from. Ellon florists have some tasty chocolates and truffles for you to add to your lifestyle flower arrangements if your recipient has a bit of a sweet tooth. If you do not wish to send lifestyle flowers from the expert Ellon florists, you can have one of these fabulous gifts sent on their own. You can have your Ellon flower delivery sent to you or your loved one with a range of different flower delivery options. You can choose for standard delivery from Monday to Saturday. 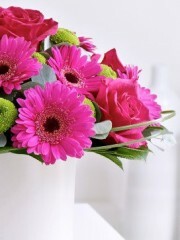 The Ellon florists offer morning or afternoon flower delivery. 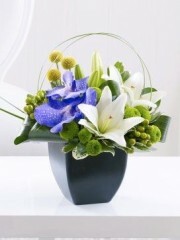 Your lifestyle flowers can be delivered between 9am-1pm and 1pm-6pm. 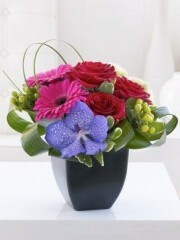 This is perfect if you know what time of day you or your recipient will be in to receive the delivery. 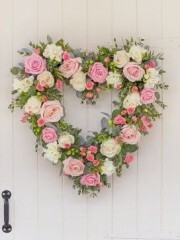 Furthermore, the Ellon flowers team can offer a fantastic same day delivery service. Provided that you order your flowers before 3pm, the expert florist’s team will be able to perfectly assemble your lifestyle flowers and have them delivered to you or your loved one. For same day flower delivery the flowers need to be ordered before 3pm to ensure that the Flowers Ellon team have enough time to take the skill and care required to maintain their high standards.